benefit INSTANT COMEBACK FACIAL SERUM 30ml, a facial serum for tired and dehydrated skin that instantly boosts skin for a more youthful look. The fast-absorbing formula with benefit's Tri-Radiance Complex plumps and hydrates the skin firming, smoothing, energising and protecting against visible signs of aging. Tired skin feels more refreshed, dry skin is moisturised. A facial serum for a more revitalised and radiant look, which also dramatically boosts the effectiveness of any skincare routine. 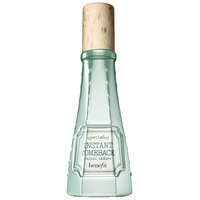 benefit INSTANT COMEBACK Facial Serum 30ml was found on 5 websites and was price compared using EAN: 0602004050359. The cheapest benefit INSTANT COMEBACK Facial Serum 30ml is shown as the main item, prices range from £39.00 to £39.00, excluding delivery. Price comparison based on price and delivery charges, with any valid discount codes being applied, is shown in the table above. Prices and information correct at the time of publication.